The tradition of decorating hands and fingers appeared thousands of years ago. Today, different rings and other jewelry are still popular, but already satisfy the desire to express oneself not completely. 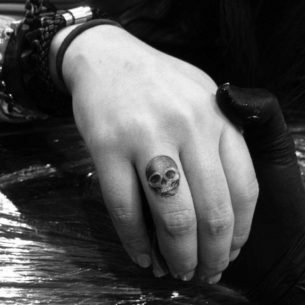 That’s why the trend of finger tattoos is growing its popularity nowadays. Of course, it is not new. 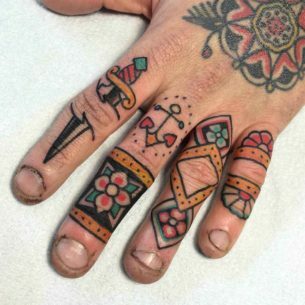 In modern culture finger, tattoos are popular among prisoners in jails. But this tradition came from soldiers who were used to ink on their fingers nicknames and names. 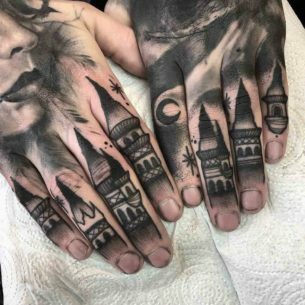 It is clear that only small tattoo can be made on fingers, Taking into consideration the shape of fingers it is obvious why there are more letterings among finger tattoos. 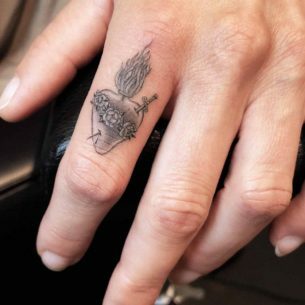 Actually, this placement is not the easiest one for a tattoo artist, plus girls prefer tattoos between fingers. 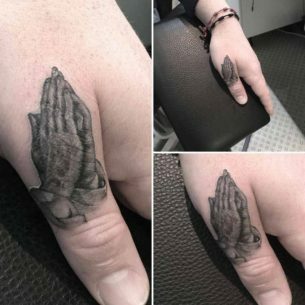 This is rather a good solution as such tattoo is hard to spot. 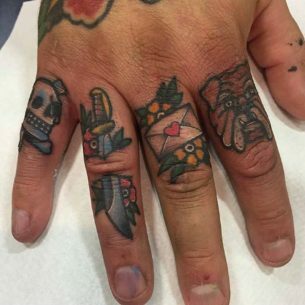 Guys usually ink exposed parts of fingers. 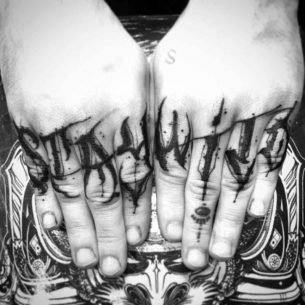 Such a way of making tattoos is rather spread in hip-hop culture. 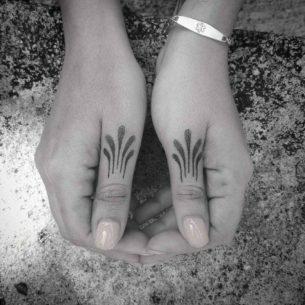 Also, rather popular are finger tattoos of different symbols, which do not have a definite meaning, they are rather like accessories. For instance, rings, crucifixes, stars, etc. 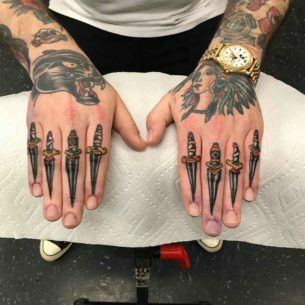 There is, of course, some meaning and attitude of the tattoo owner towards his tattoo, finger tattoo ideas described do not have universal meaning. 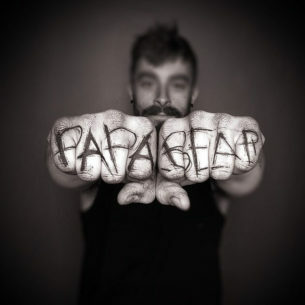 Like an example, the mustache finger tattoo – it is funny, but nonsense. Also worth mentioning the painlessness of the process, due to the size of finger tattoos. 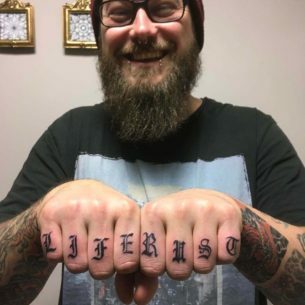 So, the only thing you have to consider is the tattoo idea you chose. 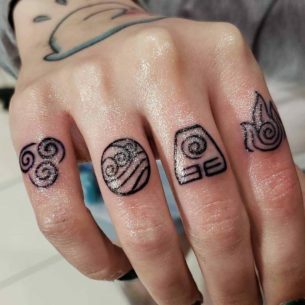 Among all other things, making finger tattoos gives their owner a great advantage, as there are for of them looking facing the same direction. 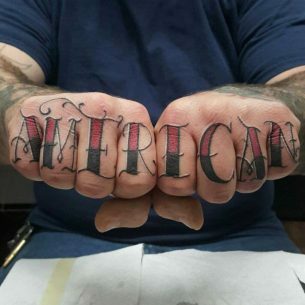 It is possible to make for separate drawings on each of them in a way, that when they are drawn together something meaningful and complete would emerge – the complete knuckle tattoo. 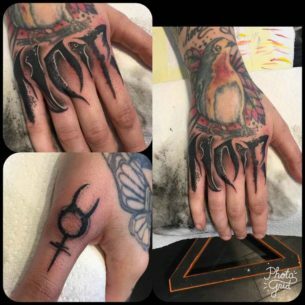 This placement is very convenient for some word tattoo designs consisting of four letters, one for each finger. These can be a name of some person or words as “LOVE”, “HOPE”, “LIFE”, “RAGE”, “RACE”, “KILL”, “HAIL” and stuff. For the most extraordinary the abbreviation “TMNT” would be perfect and for those who prefer to have something extreme the word “F*CK” or “SH*T” would be perfect… Long story short, open up a dictionary and proceed to look for a notion you would like. 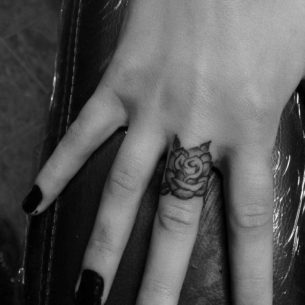 Commonly, word knuckle tattoo designs are made in traditional style. There can be shadows and shades on letters, some complexity of the font, but the main aim of the artist is not to make them unreadable in the first place. Word designs besides, different non-alphabetical symbols are also used in knuckles. These are, for example, images related to your hobby or give a brief view of your life priorities, life attitude or phenomena and things you like the most. In this case, there are no limits for the creativity of your collaboration with an artist. However, let’s say, there are also traditions people stick to. The thing is, that sailors were the first one to cover this particular area with drawings. That’s why there still are a lot of traditional nautical symbols used for designs, such as an anchor, steering wheel , lighthouse, compass, a wind rose, star (nautical), ship with sails, simple image of an island with a lonely palm on it as a symbol of a land in general. But other than that, the variety of ideas is infinite. 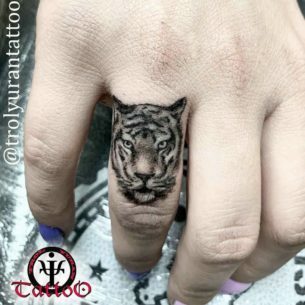 The only thing is commonly typical for such knuckle tattoo designs is the simplicity and lack of details of the images due to their small size. 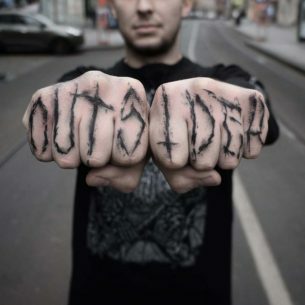 Tattoo artist sacrifices the artistic sophistication and value of such tattoos for the sake of their readability. That’s why there are only main and necessary outlines of objects and colors are also not so intense and saturated for the tattoos to be readable. However, all this depends on the skill level and experience of an artist.